Creative claims that the iRoar is the most intelligent speaker in the world. We’ll put it to the test. As a reviewer, I get more than a few products that come my way. Some are good and some bad. Regardless, very few of them I actually end up using. They end up on a shelf somewhere where I can use them as a comparison to other products later on. One product that hasn’t been tossed aside is the Creative Roar Bluetooth speaker. Since I reviewed it over a year ago, I’ve used it every single day. I ended up plugging it into our kitchen computer at my house. In addition, I’ve taken it on several trips. Last year, this included a youth camping trip outside. We used the speaker to play videos and music for our crowd of nearly one hundred parents and kids and it’s no worse for wear. Yes, it’s that loud and fairly rugged as well. When I heard that Creative was making another version of this speaker, I quickly contacted them to see if I could get a sample for review. Below I’ll give you my thoughts of it and compare it to the original and other products in its price point. While I don’t have the Roar 2, I can say that the iRoar is much louder than the Roar. That being said the Roar was never any slouch. 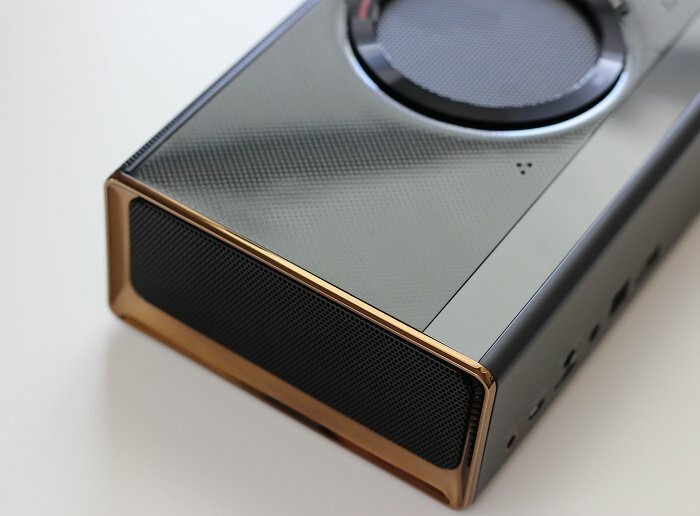 If you’re looking for a solid speaker, but don’t have around $400 to spend, the iRoar 2 is most certainly a good option. 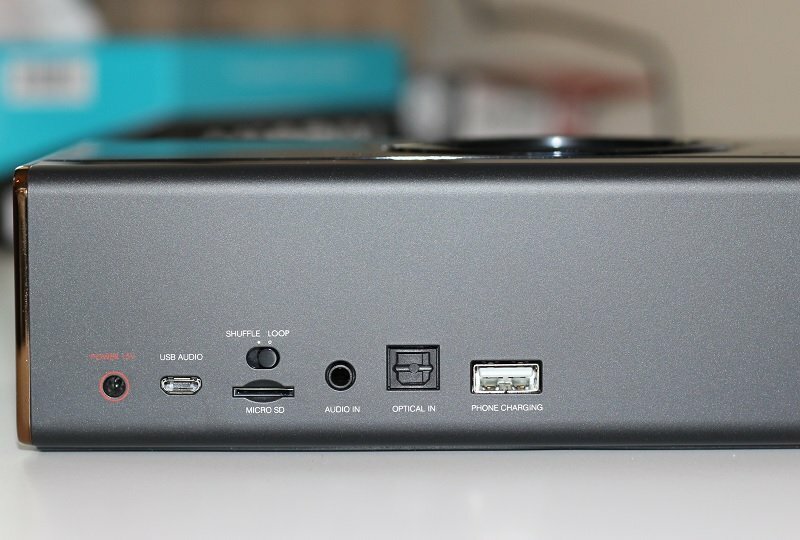 That being said, the iRoar is kind of like having a full-sized speaker jam-packed into one tiny little box. While it is a bit heavier and bigger than the iRoar and iRoar 2 it maintains it’s portability. The huge selling point of the iRoar overall is its ability to be loud and while still producing incredible lows, mids, and highs all around you without distortion while having a huge range of connectivity options. These include BlueTooth, a direct connection to your PC through optical, USB, or a 3.5mm jack. For those that are wondering, I was also able to hook this up to my TV and greatly improve my sound quality. So, if you’re wondering if this can double up as a soundbar, the answer to that is yes. In addition, the iRoar also has an iRoar Mic (purchased separately) that transforms the speaker into a PA system. When you consider that multiple iRoars can be hooked together, this is an impressive option and handy for a speaker that puts out this type of noise. For those who travel for business regularly and speak in front of small crowds, this could be exactly what you’re looking for. 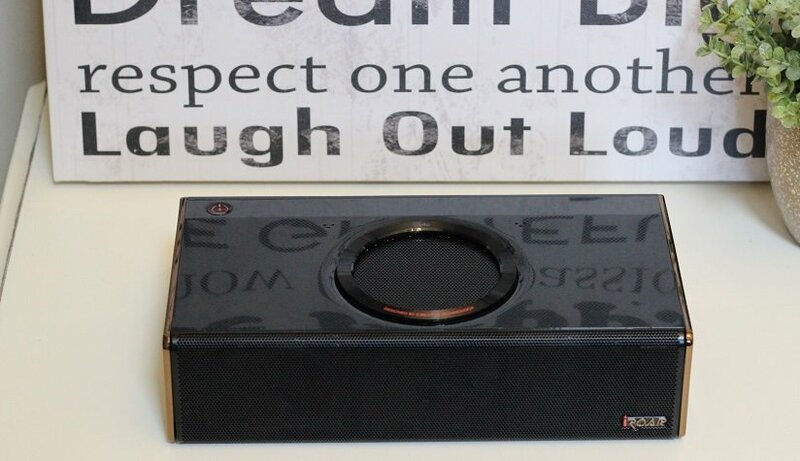 Another option, sold separately, is Creative’s iRoar Dock subwoofer. Just set the iRoar on top of the Subwoofer dock and it’ll recognize it and transfer all lows to the sub while leaving all the mids and the highs in the main unit. With the Roar, I’d get about 8 hours of battery life. The iRoar has up to 20 hours of it and fully charges in just 3 hours. I remember the Roar lasting forever and this thing will basically last 2 and a half times that. All that juice can also be shared with your smartphone in the form of a quick charging 1.5A output if you need it on the road. Not a bad option if you get stuck at a convention or on the road somewhere like I occasionally do. Overall, the iRoar has just about everything you’d want in a BlueTooth Speaker including clean bass, powerful drivers, customizable hardware, a remote option for your phone, and much more. It may sound pricey at around $365, but overall it’s worth it for the extra flexibility you get. If you’re not ready to fork over that kind of change, consider the iRoar 2.